Studying for the CPA exam is like nothing else you've studied for before. No matter how many college courses you have taken, the CPA exam will be a challenge that you'll have to surpass. You'll need to evaluate your own strengths and weaknesses as far as studying goes. However, from there, you'll use different tactics to get a passing grade on the CPA exam. 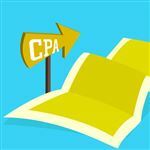 You'll take the CPA exam in four sections, which you can take over a series of 18 months after passing the first section. You shouldn't plan to take more than one (two max) sections during the same testing window. This will allow you enough time to study for each section, as you'll need at least 100 hours to properly prepare yourself for the exam. Keep reading to learn the best way to study for your upcoming CPA exam. How Long Does It Take to Prepare for the CPA Exam? First, you should know that you'll need between 300 and 400 hours of studying under your belt if you want to pass the CPA exam. This breaks down to approximately 100 hours (give or take 20 hours) for each section. Some sections are less intense than others, so you'll likely average out to 300 - 400 hours of studying. This is just a ballpark figure, though. Each person has different study habits and things that work. You know what works best for you and your schedule. In order to stay on track with your studying, it's a good idea to create a planner or calendar that carves out your studying time ahead of time. Another thing you'll need to consider is the study course you choose. Some courses require more hours than others. You can figure out which one is right for you based on the type of teaching it offers. For example, if you are a visual learner, listening to podcasts probably won't work. Each program has its own teaching style and offers different strategies. Finding the one that works best for you is crucial to your studies. You should also take your current work schedule as well as other responsibilities into consideration. Overscheduling your studying and not being able to stick to it is self-defeating. Make the schedule something feasible for you without too much sacrifice and you'll increase your chances of completing your studies to pass the CPA exam. How Many Hours a Week Should You Study for the CPA Exam? Your lifestyle: Do you work full-time? Do you workout, have weekly meetings, or have kids you have to run around all night? You'll need to tailor your studies around your obligations that you just can't change. For example, many people only study 2 hours a night and save the heavy study sessions of 6-7 hours for the weekends. Your upcoming schedule: Are you studying around the holidays? Be realistic regarding how many hours you can study per week. It's okay if you have to ease up a little bit during that time. The same is true if you have a cyclic job that requires more hours or is more stressful during a certain time of the year. Don't overexert yourself; you won't retain what you study. Your goals: Finally, what is your ultimate goal? When do you want to take the first section of the CPA exam? Don't forget you have a rolling 18 months to pass the remaining sections once you pass the first section. If you have a short-term goal, you'll want to increase the number of hours you study each week. If your goal is more laid-back, you may be able to ease up a little bit on the weekly study sessions. Every year, the material on the CPA exam changes. Each review course typically updates their program accordingly. Don't assume you automatically get the update with your program, though. Make sure you do have the latest information or you could study old information that doesn't pertain to the current test. Many people taking the CPA exam work either part-time or full-time. 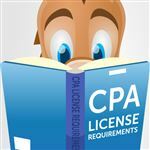 In some states, you can start obtaining your experience in accounting before you pass the exam, so it may make sense to work now, as you can get your CPA license sooner. Listen to podcasts while commuting: Use your commute time wisely. Rather than jamming out to your favorite tunes, throw in a podcast and absorb some of the information while you drive or take the train. Use spare time wisely during the week: Think of the breaks you have during the day or slow times you have at night. For example, use your lunch break to answer some practice questions or review a topic you studied but didn't quite master yet. If you have a night during that week that is quiet with no need to run errands or drive kids around, set aside a couple of hours to study that night. Use your weekends wisely: Your weekends should be the "meat" of your studying. Take studying seriously while still fitting in time for fun. For example, you could get up at the same time you do during the week to go to work, but instead, squeeze in 5 - 7 hours of studying. If you wake up a 6 AM, you would still have 1 PM and after to enjoy your weekend. Forgive yourself: It's important to not be too tough on yourself while you study. If you fall behind in your studies, figure out why and pick up where you left off. Maybe you need to revisit your study schedule or ask for more support from family to have "quiet time" during certain parts of your week. Just don't beat yourself up, as that won't help you move forward. Use the AICPA resources as a supplement to your studies. You can get your hands on exam "blueprints," which give you an outline of what to expect on the test. You can also take sample tests and use their tutorials. It's not easy learning that you didn't pass the section of the CPA exam that you took, but it happens. In some cases, as many as 50% of test takers fail their exam. This doesn't mean that you shouldn't be a CPA. It just means that you need to figure out why you failed and fix the issues. Not studying enough: You probably guessed this one. Even if you think you have enough experience or you just graduated college so you've "got it," you don't. You have to take studying seriously. The CPA exam isn't a test you can pull an all-nighter the day before the test and expect to pass. Not planning your studies: Having a schedule to study is imperative to your success on the CPA exam. Without a strict schedule to follow, it's easy to get off course. You need the consistency of a regular schedule. Without a study schedule, you could forget the topics you previously learned/reviewed because you let too much time pass between study sessions. Not using a review course: Even if you are fresh out of college and think you know everything you need for the CPA exam, you should use some type of review course/study guide. There are numerous options available today, each of which pertain to a different type of student. Explore your options and compare them to your learning style to choose the one that's right for you. There are two things you should remember if/when you fail a section of the exam. First, don't give up; it's normal to fail, but it's up to you to pick up the pieces and try again. Second, don't rush your retake. You can only take each section once during the testing window, but make sure you give yourself enough time to properly study and recover from failing before trying again. 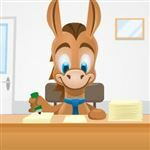 Studying for the CPA exam requires patience and dedication. Don't start studying now if you don't think you can follow through on the entire course. Exam material changes each year and the material is cumulative. Stopping for too long will just put you back at square one. You should be completely committed to studying and following through on your studies to increase your chances of passing the CPA exam. Leave a comment about CPA Study Guide? Share on Facebook "CPA Study Guide"